London Professional College is committed to protecting your right to privacy as a user of our online documents. It is our policy to respect the privacy of private communication. The information you provide to us will be held for London professional college on servers based in the UK, and, except as explained below, we will not transfer it, or authorise its transfer, outside the UK. We collect information about our users in order to help us continually improve the products and facilities we offer and so that we can enter into commercial arrangements, including the sale of advertising space. London Professional College will always adhere to UK Data Protection Legislation which, from 25 May 2018, includes EU Regulation 2016/679 General Data Protection Regulation (“GDPR”). We will collect personal data as provided to us during the registration process, which you agree to supply us as accurate. 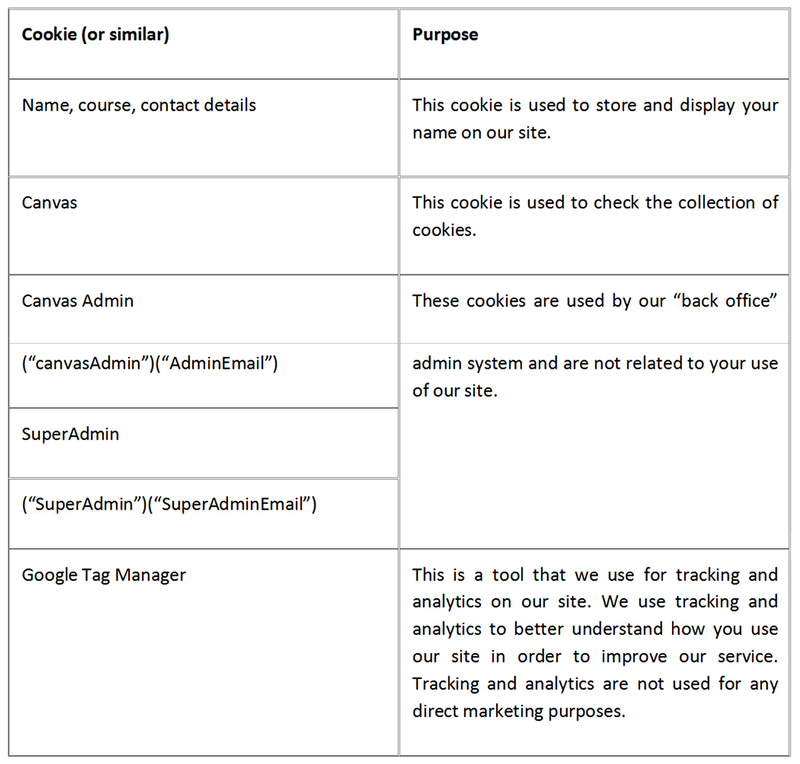 We do not monitor your use of the Internet, but we do use cookie technology to monitor your use of our website. This information is not stored alongside your personal data and will only be used on an anonymous, aggregated basis. We may process your personal data in combination with the course/assignment documents and forms downloaded in order to maintain and improve the facilities we offer and to send you alerts about important updates to such content. Providing and managing your account and/or Registration(s). when you register (or at any time thereafter). Please note that some emails are an integral part of the London professional college service you sign up for when registering with us and cannot be opted out of and that by registering, you are consenting to us using your personal data to send such emails. We will never send you any spam and always aim to ensure that our emails will be genuinely useful to recipients. Our processing of your personal data is in our legitimate interests and is necessary to provide the London professional college to you and to continually improve it and the content available through it. In addition, when you register with us, your personal data is necessary for the formation of the contract between you and London professional college Ltd and the completion of your registration. We only store your personal data within the UK. This means that it will be fully protected under the GDPR. 1. ESFA (Education skill funding agency) for auditing purpose. 2. Student loan company for education loan. 3. Awarding bodies for certification and awards for the qualified learners. 4. Potential employers for employment opportunities. 5. Ofsted for Auditing Purpose. 7. EDRS – Employers data record service for registration purpose. 8. Internal marketing team to keep you updated with new offers, events and courses. To the extent necessary for the purpose of providing our service, the personal data which you give us during the registration process, and data relating to the courses, may be transferred to third parties within the EEA who we engage from time to time to provide us with any services or facilities which we use for the purpose of administering our business and providing our products and services to customers. We may also transfer any of that data to our third-party IT contractor outside the EEA which provides us with IT services facilitating our provision of products and services via our website and email communications to those who register as customers with us. Any such transfer will be subject to terms agreed with our IT contractor which comply with those prescribed for such a purpose by the European Commission, thereby ensuring that your personal data will be protected to standards equivalent to those specified by the GDPR. The right to restrict or object to our processing of your personal data for particular purposes. Please contact us. All personal data provided by you during registration, can be accessed via ‘email request.